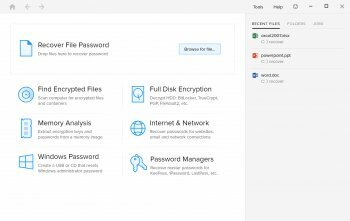 Passware Kit Business is a complete password recovery solution that provides corporate security administrators with the full control over employees’ computers and files. System administrators, IT professionals and help desk personnel can now get access to any file or server whenever required. you can download all this for free,== I see no W-7 support and your asking $100.00 ! Decrypts truecrypt volumes without brute-force. In other words; easily. Passware Kit Version 7.7 adds support for Windows Server 2003 R2 and Remote Desktop Connections. ACT 2006 is now supported by ACT Key. 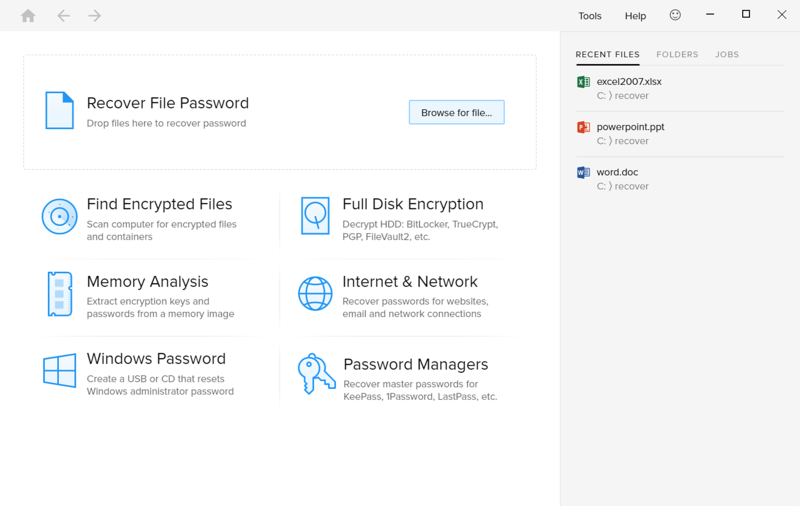 WordPerfect Key and Quattro Pro Key instantly recover passwords for WordPerfect Office X3 files. A very comprehensive set of password crackers, but the price is just unreasonable for anyone not working for a company with a large budget. Almost all of these tools, if not all, can be found in much cheaper or free individual programs. There is no need for this software. A well-known(?) easy hack exists for Word document protection, rendering a brute-force attack in this case more inefficient than it already is. Not convenient to use. And brute-force attack is extremely slow... No dictionary and known-plaintext attacks. seemed to work great on my funky NT4 box. have been searching for something like this for 'bout two weeks. was disappointed to see it didn't work on infotone. lost the crazy password to open of my logins and been screwed since. overall very good. This seems to be nothing more than a hacking tool for kids to circumvent this security measure. I'm sure it's a great program but I'm surprised that such a prestigous site would acknowledge it.